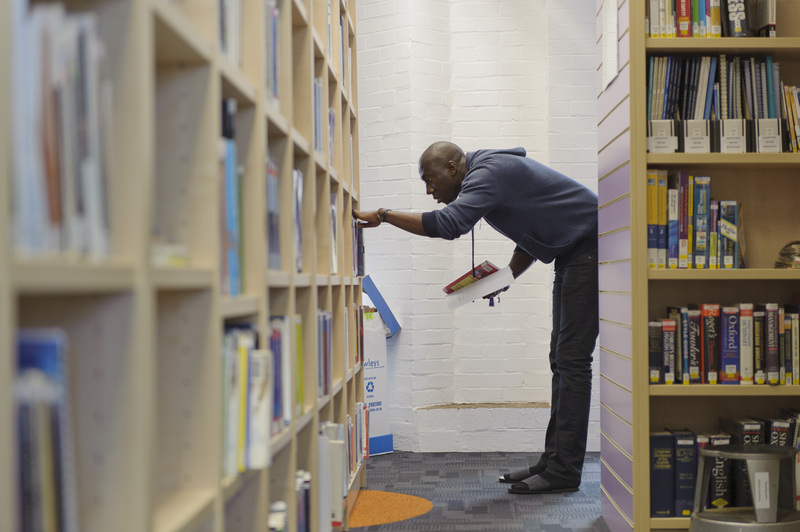 Cranfield University Blogs | I have found a book on Library Search – how do I find it on the MIRC shelves? So you have used Library Search and found the book you are looking for – but how do you find it on the MIRC shelves? General Reference – Orange label (For reference only). The ‘Available Copies’ tab of the catalogue record below shows you how many copies of Yvonne McGivern’s book are available and that it can be found in 3 separate collections (Shelf numbers). 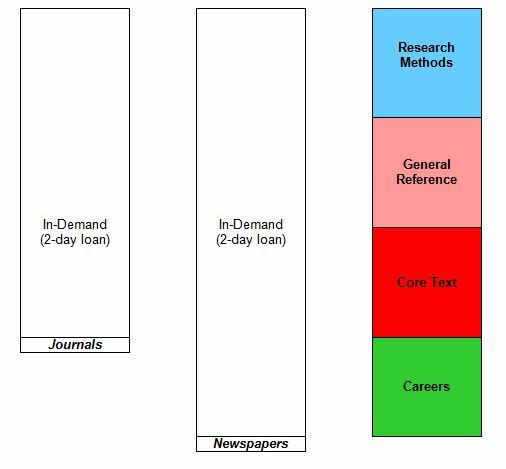 MIRC has five ‘in-demand’ copies (2-day loans) but one of these is currently out on loan (due date displayed). 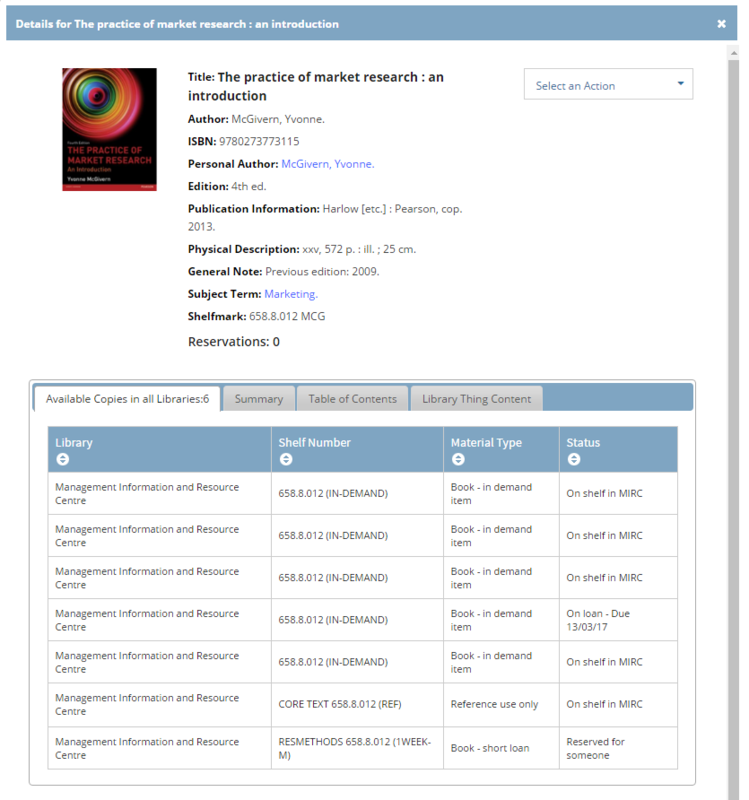 There is one copy in the Research Methods (short loan) collection but it is currently on reserve, awaiting collection. We also have one Core Text reference copy. All titles which are essential reading are available in the Core Text (red label) collection. You are welcome to read in MIRC from this copy or copy/scan what you need (within copyright regulations). This title is also available as an eBook – which would have appeared as a separate book in search results. For more information about eBooks, check out our previous post here. Depending on the eBook reader involved and your location (on- or off-campus), you may be required to login using your Cranfield network log-in via Shibboleth. Within each collection the books are shelved in numerical order by Shelfmark and then by an alphabetical extension. So take a note of the full shelfmark (eg. 658.8.012 MCG) before you head to the shelves. See the plan below for MIRC’s shelf layout. If you have any problems finding a book, remember that MIRC staff are always available to help so please ask.